A faulty director is being eyeballed for LESTAT! Ahoy, squirts! Quint here. I was a Stephen King kid growing up. 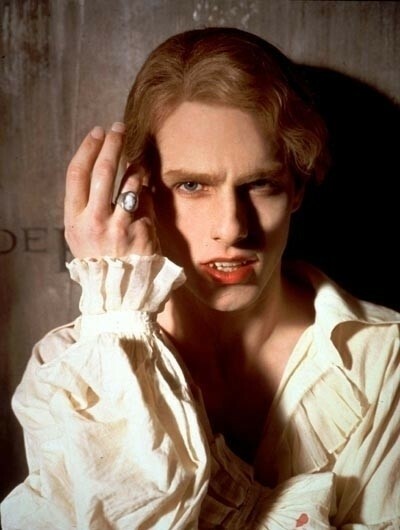 The romantic vampire stuff didn't appeal much to me, so I don't have a strong opinion on Universal rebooting the Lestat de Lioncourt character. However, I know a lot of folks out there adore Anne Rice's books, so I figured you guys might want to know the latest. The Wrap is reporting that FAULT IN OUR STARS director Josh Boone is the top pick to write and direct Lestat for Kurtzman/Orci to produce. The article says the new movie isn't going to be a straight up adaptation of Interview With A Vampire, but is expected to pull from both The Vampire Lestat and The Queen of the Damned as well. Also, interestingly enough, there's a little Stephen King news buried in the article as well. Boone is currently developing a 3 hour long feature version of The Stand and Stephen King has recently given his thumbs up to that script. Casting is expected to start soon! Looking forward to that! Looks like I'll be getting my Stephen King fix first and then all you Anne Rice fanatics get your romancy vampire stuff afterwards. So, win-win, yeah?